I thought I would show a little bit into Monty’s own endeavor while Chase is dealing with his ;) I also wish to point out that I have brought back and revamped my other comic Scout Crossing, which will update Tues and Thursday, while Motokool will update Mondays. WHERE’S FINN CALLAGHAN? WHAT DID YOU DO WITH HIM? AH! You brought back Monty’s vest! Hooray! Hmmm. Fine. I admit defeat. OH MY GOD!!! thank you for that!!! Haha, saw this one coming. I’m glad to see Monty is back in his vest…it’s so adorable on him! I forgot to mention the bowler hat. VERY distinguished…and even MORE adorable! More INTENSE then anything I have ever seen! Whatever happened to Professor Quackington Duck being a mallard of integrity? 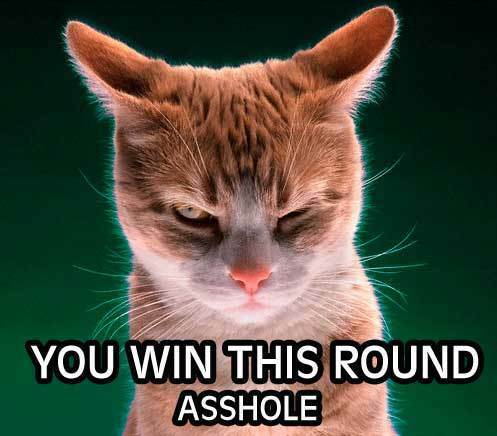 I dare say he has quite the offensive mouth to instill such anger in Monty. Also I should get a Gravatar, but I am lazy atm. The background in the is 4th panel behind Monty is not the same as in the 2nd and the 6th, is it from another point of view? 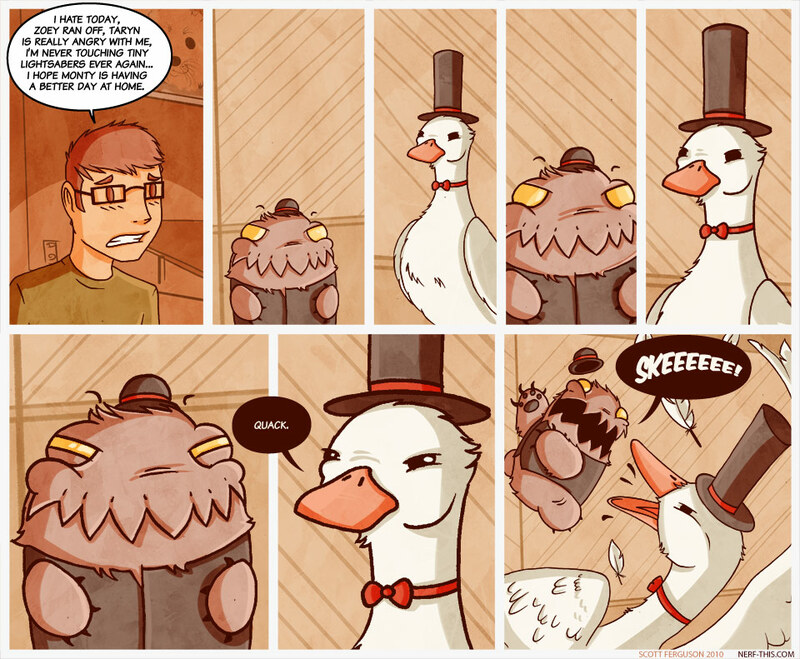 Monty should be a bit careful, Abraham Quackington Duck Lincoln seems reaally badass. And the timeless battle between cute cuddly small creatures and fearless warriors of the sky continue on. Now all we need is a bankai and kamehameha and we are in bussiness. I have an inkling that this isn’t going to turn out the same way as the Monty and the dove interest. From the look in his eyes, Quackington seems to have just as much not-so-teenage angst as Monty. This should be good. Why is there not a t-shirt of that duck? weekend is going to be awesome thanks to that last panel Have a good one yourself! i love how he took a minute to suit up in his dapper finery AND comb and part his hair… like a classy, 18th century duel. btw sagocha, i had a dream last night that we were going to free rita’s day in scott’s car, which for dream purposes had morphed into this insane, old school impala, and you had to drive because he was on medication. you handled that beast like a rock star. nice work. Noooo! I’m all caught up. =[ Does this update daily? @sunnynoms daily update mon thru fri.
Oh, good. =] Thank you. Epic fight scene to follow. Que music. Monty’s assault on the duck would make an awesome wallpaper. I must see this comic before I go to bed. Haha. I’ve been waiting allllll weekend. So sad. 00Q has engaged the demonling! Wow. This is like a biopic of my cats.